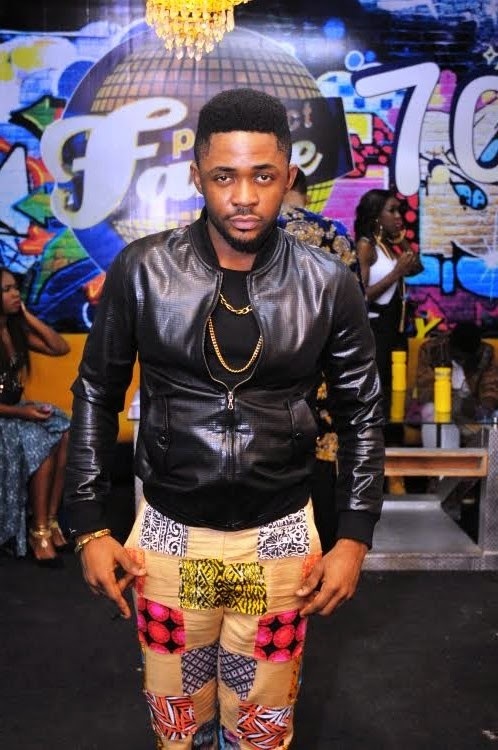 How do you feel as the winner of MTN Project Fame? I feel really blessed and honoured to be chosen as the winner. It doesn’t make the other contestants losers because we are all winners. I just feel privileged to represent the other contestants; it is just like being in the war front and someone that is going to lead the battle is chosen. We are all winners but someone has to lead the others and I happen to be that person. I am just grateful to God because this is something I have been pursuing for the past seven years. It hasn’t been easy for me because before now, I had been trying to push through life and things had been quite rough but God was faithful to me by giving me the opportunity to win this competition. Are you saying that you have been trying to get into the academy for seven years? Yes, I had tried for seven years. I normally got to top 20 in Lagos and the first audition I went for was in Kaduna, I made it but they did not call me. Instead they called someone else and that was Praiz. So what did you do differently this year that made you not only get into the academy but also win the competition? I don’t know, I wouldn’t say I did anything differently but in a way, something different happened to me. I went to Ghana to school and while I was over there, things were so rough for me that I did not have money to pay my school fees. I went everywhere trying to get money but nothing worked out. I even had to beg a dean in the school for help but he did not help me. It was during that time that auditions were taking place. When I head about the audition, I left my ongoing exams and went for it. I auditioned in Ghana and that is the major difference unlike before when I auditioned in Nigeria. The song I sang was not what I normally sang. I had to sing ‘Dance with my father’ by Luther Vandross. I think it was the song that got to them and they picked me. Do you think you can cope in the industry as a shy person? I am not totally shy. When I am dealing with people, I may be shy, but on stage, I am a different person entirely. When it comes to business, I cannot be shy and I am improving on my relationship with people. Has your experience in the Project Fame academy changed you in any way? Yes, I am a sentimental person. I like to carry people along and even if I don’t have, I still try to give. My mother is unusually upset with me because of that; she says I need to focus more on myself and stop the habit of taking friends with me wherever I go. When I came to Lagos, I told some of my friends to come, that Lagos could be better, they did and we still struggled together, but today things have changed. The competition has positioned my mind in such a way that I am no longer sentimental. I always want to tell someone the truth and bluntly, I could not do that before. I used to beat about the bush before telling a person the problem but now, I have the boldness. Did you believe you would win the competition? Yes, I did but when I came in and saw the other contestants, doubts began to set in but their weakness became my strength. One thing I did was to exploit their weakness. When I see someone doing something in a wrong manner, I learn how to do the right thing and I also correct the person. I was not too overzealous, I still carried everyone along but eventually God saw my heart. I did not see it like a competition but destiny. I believe it was what God has called me to do and he would fulfill his word in my life. Basically, most of the money would go into investment. N5m is big but if not well managed, it is a small sum. I plan to invest the bulk of the money in a business I am working on with some other people. I also plan to focus more on my music career, make good songs. Are you planning to join the list of artistes that refused to go back to school after becoming famous? I would go back to school, I deferred a year and I would go back after. Past winners of the competition have moved on to greater heights, are you sure you can live up to expectations? By the grace of God I will. They are human beings like me, they don’t have two heads. If they can do it, I can also do it. Life will never give you what you deserve; it will only give you what you demand. I have made this demand to be a responsible artiste and I know God will see me through. I am not saying I am perfect, I have the ability to make mistakes but I want God to give me the courage so that even when I make mistakes, I would be able to get back on my feet and move on. I won’t allow the mistakes to weigh me down. Has your life had any significant change after you won? The followership on my social media has increased, this is the time people want to start talking to you, seeking your attention and it is really good. Some girls that I had tried to woo in the past but refused now want me to woo them again, saying they would agree. One called me recently and said I should ask her out again and she would accept but I was just laughing and said no. There were indications of a romantic relationship between you and Rukky in the academy, is there any possibility of it blossoming after the competition? I was very close to Rukky, she was a very good friend of mine in the house. We were always together, we always talked, shared ideas and she is a very intelligent person. I just like her personality. I hope the relationship blossoms but if it doesn’t, anything can happen in the entertainment industry. There is nothing bad in having a relationship and it is better when both parties are in the same industry doing the same thing like music for instance. It is not going to be easy, it’s feelings and it is not subject to the way we think most times.